King Daddy. El Jefe. The Big Boss. El Cangri. These are just some of the nicknames Raymond "Daddy Yankee" Ayala has given himself over his spectacular 13-year ascent from the underground Spanish hip-hop scene of Barrio Obrero, Puerto Rico, to undisputed leader of reggaeton — an infectious mix of dance-hall, reggae, Latin beats and rap that's sweeping across nightclubs and radio stations throughout the Americas, Europe and Asia.With his latest effort, "El Cartel: The Big Boss," Daddy Yankee, 30, tries to claim yet one more title for himself — pop star.DY's "Impacto" remix with Fergie of the Black Eyed Peas is likely to become a summer club banging jam that will further propel Yankee (a Puerto Rican slang term used for someone big in what he does, a Big Daddy) into mainstream popularity . It doesn't hurt that the futuristic vocoder beat (think Dr. Dre/2Pac's "California Love") used by hit-making producer Scott Storch is just so darn catchy.For those who can't follow DY's trademark melange of rapid-fire Spanish, Tony Montana broken English and Spanglish slang, he slows it down in the chorus with "You like the way I do it?" And Fergie replies, mimicking Yankee's Spanish-accented emphasis on the word "do," with "I like the way you duuu it. "DY has shed the gangsta image of a few years back when he had hits including "Gangsta Zone" with Snoop Dogg and remixes of "Gasolina" with Lil Jon, "Rompe" with Lloyd Banks, and "Machete" with Paul Wall. On "El Cartel" it's out with the rappers, in with another Black Eyed Pea (Will.I.Am, who raps "Blacks like Latins and Latins like blacks/Let's start (loving)/ What's happening," in the Caribbean-tinged party track "Plane to PR"); a Pussycat Doll (Nicole Scherzinger on the love song "Papi Lover," with its clever uses of flute and hand cymbals); and the fly R&B stylings of Akon on "Bring It On," on which Yankee's smooth rhymes and melodic keyboard hook and Akon's amazing singsongy flow, make for a killer combination.The lengthy album — 21 tracks clocking in at slightly less than 80 minutes — has a handful of songs that could have been left off — particularly the cheesy "Who's Your Daddy" and the extremely disappointing duet with reggaeton star Hector "El Father" on "Tension." 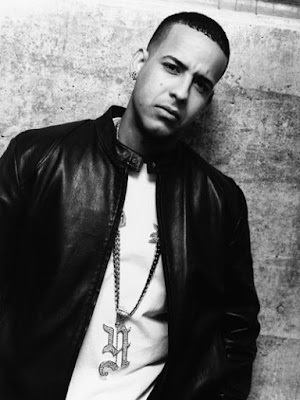 Still, there are several standout tracks, most notably DY's salsa and mambo-based songs such as "Corazon Divina" and "Me Quedaria," his aggressive Jay-Z-esque world takeover "Mensaje del Estado" and his excellent English-language collaborations.